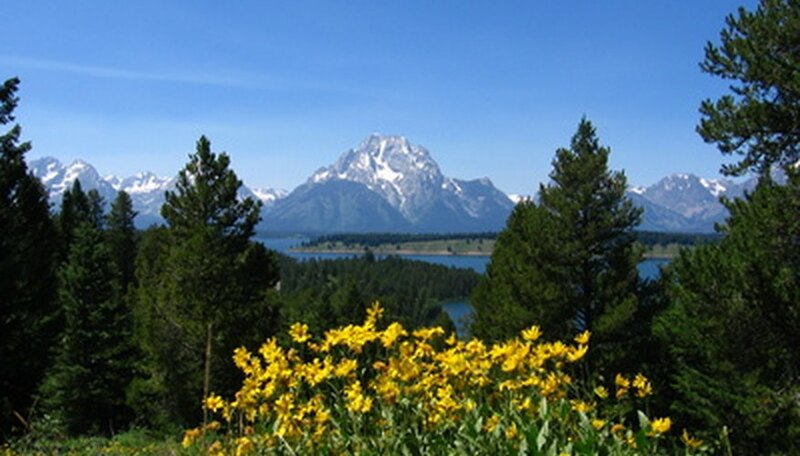 Mountainous regions are well-known for their abundant display of wildflowers during the spring and summer months. A wide assortment of flowers can be found at higher altitudes where conditions are more extreme than surrounding valleys. Favorites such as the daylily and bellflower make their appearance across the walls of many mountains in the United States and around the world. Identifying the key characteristics of popular wildflowers that bloom in these regions can help a gardener gain a broader appreciation of the surrounding habitat as well as provide ideas for high elevation flower gardens. Columbine is a short-lived perennial wildflower found in many mountain regions. It attracts hummingbirds and thrives in organic soils. It needs full to partial sun and moderate water for best blooms. Columbine blooms have a unique shape with five petals spurring from a tube-like stem. The inner portion of each petal is yellow while the outer is red, but additional shades are also available, including blue and white. The columbine is also known as Our Lady’s Shoes or the Virgin Mary’s Shoes. 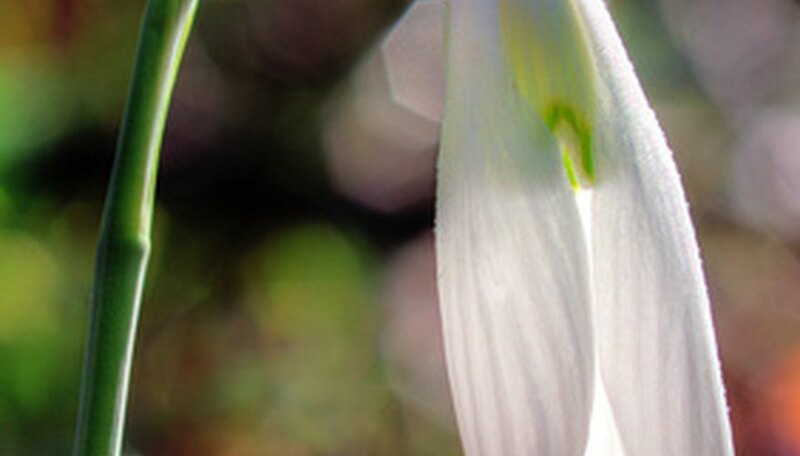 These names are derived from the shape of fallen petals, which resemble a slipper. The flowers were said to have sprouted wherever Mary stepped on her journey to visit Elizabeth, her cousin. The bellflower is best known for its bell-shaped flowers in shades of purple and white. Up to 15 tiny blooms may appear from a single stem, but many only have one flower on each stem. It requires full to partial sun in organic, well-drained soils. There are over 250 species of bellflower, including perennials and biennials. The bellflower is also known as bluebell, lady’s thimble and harebell. Bellflowers are found in higher elevations up to 12,000 feet. They are slightly drought-resistant and often grow near aspen or ponderosa pine. Bellflower can spread quite rapidly, and can become weedy in some areas if not controlled. Daylilies boast trumpet-shaped flowers and are a long-lasting perennial. They require moderately organic soils that are well-draining. Daylilies have a low to moderate need for water and do best in full sun exposure but can survive in light shade. The daylily blooms in a wide variety of shades including red, yellow, orange, lilac, melon, pink and gold. 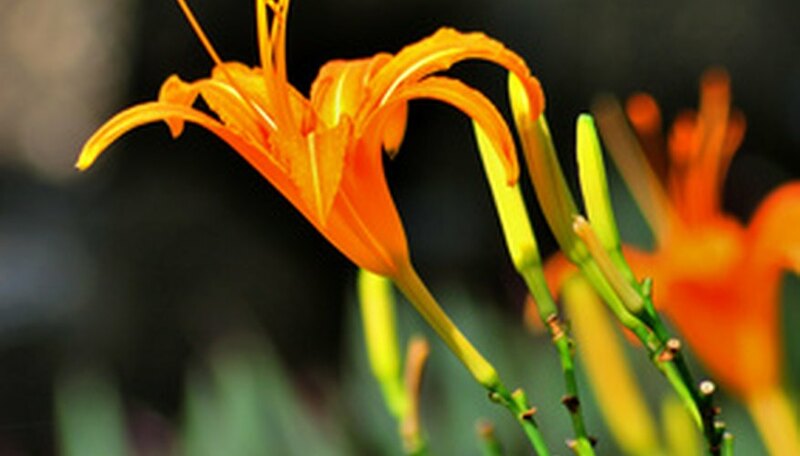 Since it is such an adaptable flower and can withstand conditions such as drought and flooding, the daylily is prolific in many mountainous regions. They are often planted in flower gardens for use as a border flower or color focal point.